Under The Copper Tree: Organic Salmon? I was doing some last minute shopping this afternoon at H Mart before the family NYE party when I came across this. 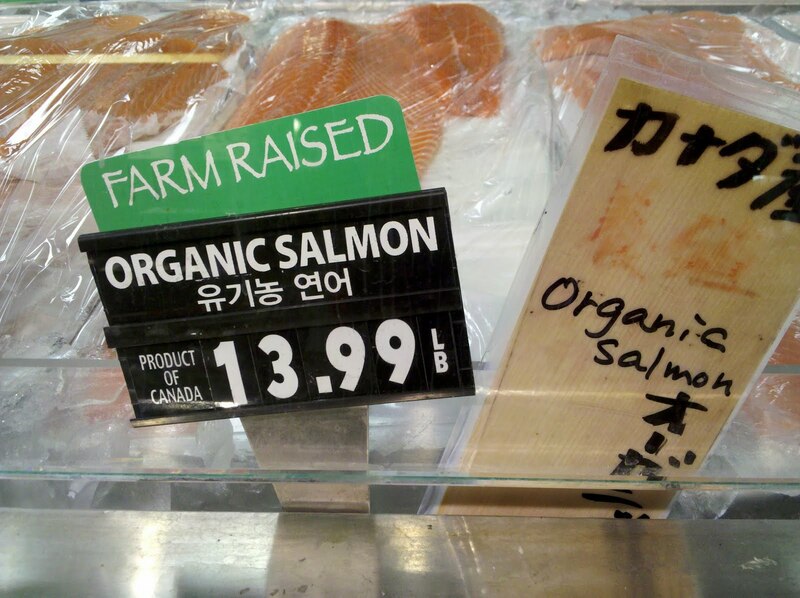 Farm raised, organic salmon from Canada. All I can think of is... how? Are there standards for organic designation on fish? Wild salmon was cheaper than its organic counterpart, and I'm more comfortable eating that than something slapped with the "organic" label.